At the 1996 NBA Draft Samaki Walker declared to the world that in his spare time he liked to dabble in being a pimp. There is no other explanation based on this cream colored suit and top hat that would make Craig Sager proud. The NBA Draft is a hotbed for fashion disasters and this is no exception. 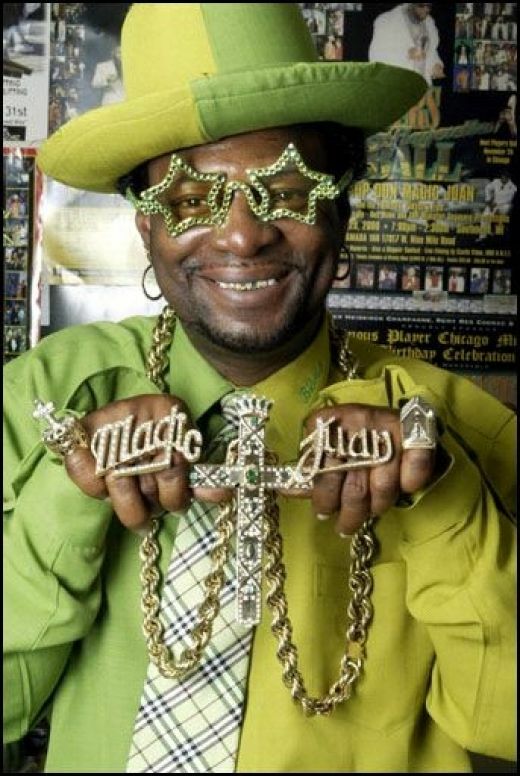 The color of the suit is one thing but to go all Don Magic Juan on us is another. That’s why we are nominating Samaki Walker for the Craig Sager School of Fashion Hall of Fame. Rick Patino declares that this was “a great pick.” That was about as accurate as his judgement was in banging someone other than his wife in a restaurant bathroom. Walker never averaged double digit points or rebounds in a season and finished with a disappointing 5.3 ppg and 4.7 boards career stat line.